Microsoft's Bing still struggles to distinguish between deals now and in the future. With Black Friday just (gulp!) 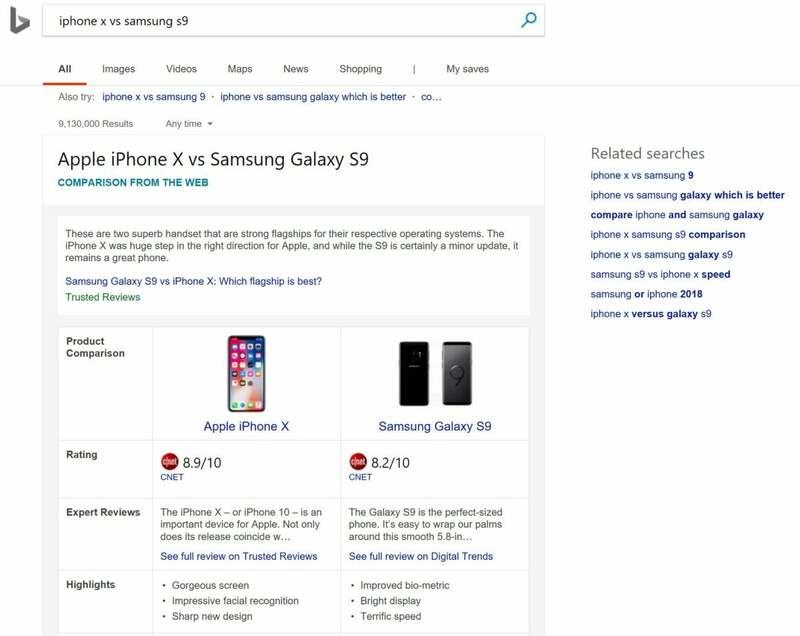 a week away, Microsoft’s Bing search engine is launching tools to help with your shopping: a searchable index of deals, phone comparisons, and shortcuts to roundups of the best products. 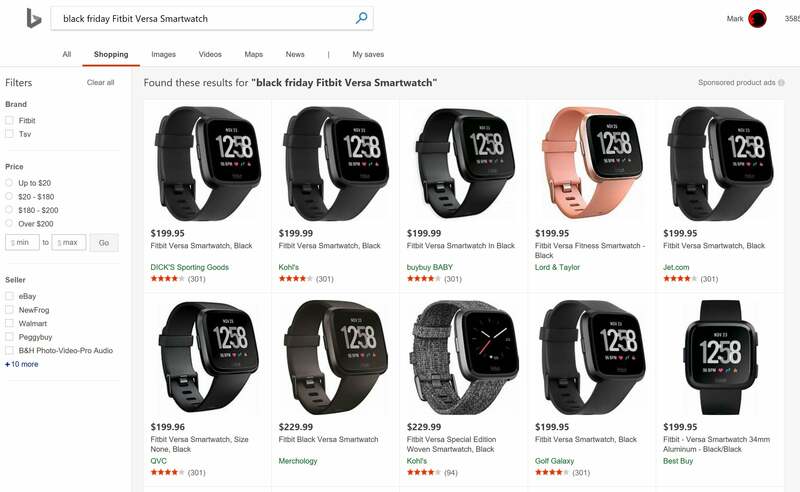 Unfortunately, Bing doesn’t currently seem to provide what you’re probably hoping for: a searchable list of Black Friday prices by item, together with the dates and times they’re available. It appears you’ll still have to do all the legwork yourself. Like other Black Friday sites, Microsoft has compiled a list of Black Friday ads by retailer, which the company has separated out by deal. Each ad lists the date and time during which the ad is active, with links to coupon codes, too. With each item, Microsoft also lists “See other buying options” so you can compare prices as part of its Bing Shopping service. 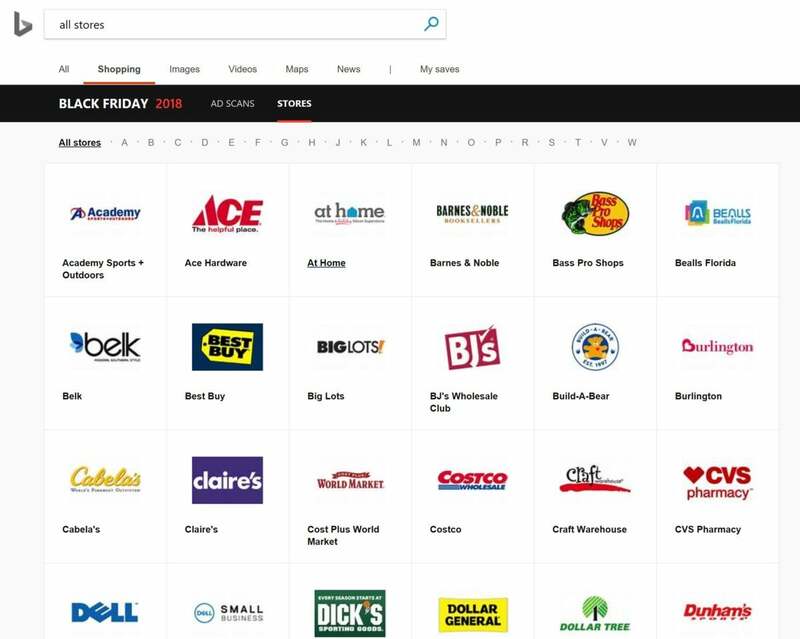 Microsoft also promises that you’ll be able to search Bing Shopping for “Black Friday” plus the name of the item, and receive a list of Black Friday deals. Like other Black Friday sites, Microsoft provides a digital archive of Black Friday circulars. That promise isn’t reality, alas. Target plans to sell a Fitbit Versa smartwatch for $149 on Thanksgiving and Black Friday (regularly $199), for instance. You’d think you’d be able to find the deal reflected in the list of other buying options or while searching for ”Black Friday Fitbit Versa Smartwatch”. But the deal appears in neither search. Essentially, that means you’ll have to still keep notes of what deal is active on what product at what store, and when—pretty much the status quo. Its shopping comparisons, though, list just the current prices. To be fair, Bing’s other tools are still useful. If you search for “[phone] vs [phone]”, such as the “Apple iPhone X vs. Samsung Galaxy S9,” you’ll receive a capsule comparison of what makes each phone great. A drop-down caret reveals even more specs, along with prices. Bing also pulls from roundups like PCWorld’s in more generic searches for “best laptops,” with cards showing some of the more popular laptops. Unfortunately, if you ask for a more granular search, such as “best 15-inch laptops,” it defaults to the traditional list of search results. Bing’s phone comparisons provide a great deal of factual information as the basis for product comparisons. What this means for you: Fortunately or not, search engines are still struggling to provide a comprehensive list of shopping deals. Some of this is tied to business deals that pay to bump listings higher in search rankings. But manufacturers often refresh products with faster components while leaving the name unchanged—making it difficult for a search engine to discover what represents a good price on the latest product, versus a discounted older product that a retailer is trying to clear from its shelves. Fortunately, we’ve hand-picked some of the best Black Friday deals, and we’ll continue to do so as the holidays approach.